Nice and early on Sunday morning we were off to the Pomona Swap Meet. 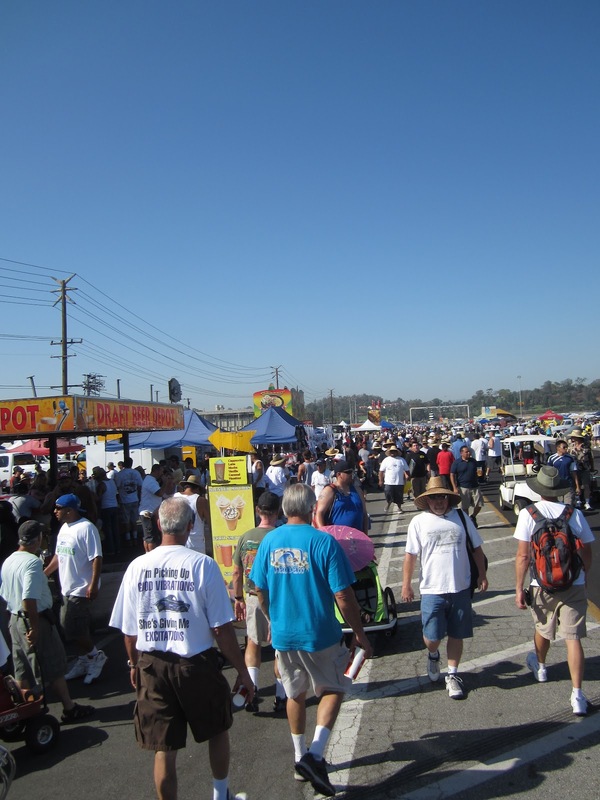 The above photo shows what it typically looks like at 5am as you enter the Pomona Fairplex. By the time the sun came out the CCC Crew and I were ready. We all knew it was going to be a hot day, so as soon as we were setup I went and took a few photos of some cool cars that were parked nearby before it got too hot. 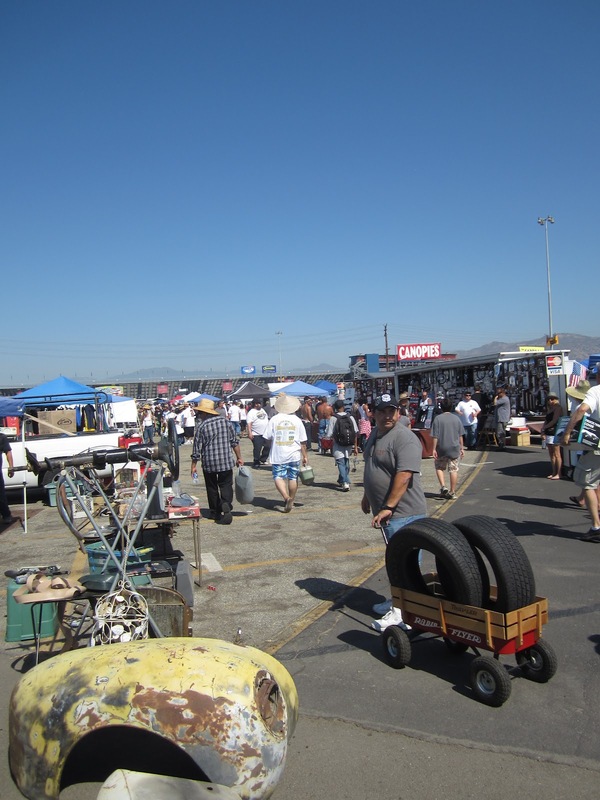 Considering how hot it was in Pomona yesterday there were still tons of people at the swap meet. They might have left a little sooner than usually, but the place was packed all morning. 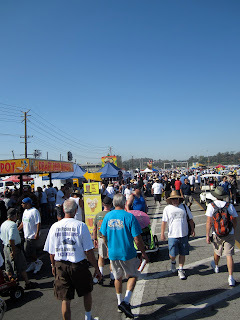 There were plenty of people at the swap meet and we made a lot of new friends. Though I think a few of them were just being nice to use our shade. Custom antenna ball on a Chevy wagon. 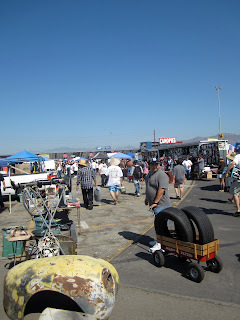 There are always plenty of cool and unique cars on display at the Pomona Swap Meet. Whether you are looking to buy, sell or browse there are always neat cars to check out. The show attracts a lot of traditional rods to complete customs. A Riviera on its way out of the show. Check back later this week for coverage from the second California Car Cover Summer Cruise Night this coming Wednesday, plus coverage from the Monterey auctions this weekend.